Following their critically-acclaimed 2018 tour, Sting and Shaggy will kick off the summer by bringing an intimate and exclusive shows as part of the The 44/876 Tour. Sting and Shaggy will be joined by Sting’s longtime collaborators Dominic Miller (guitar), Josh Freese (drums) and Rufus Miller (guitar), as well as Shaggy’s band members Melissa Musique (backing vocals), Gene Noble (backing vocals) and Kevon Webster (keyboards). 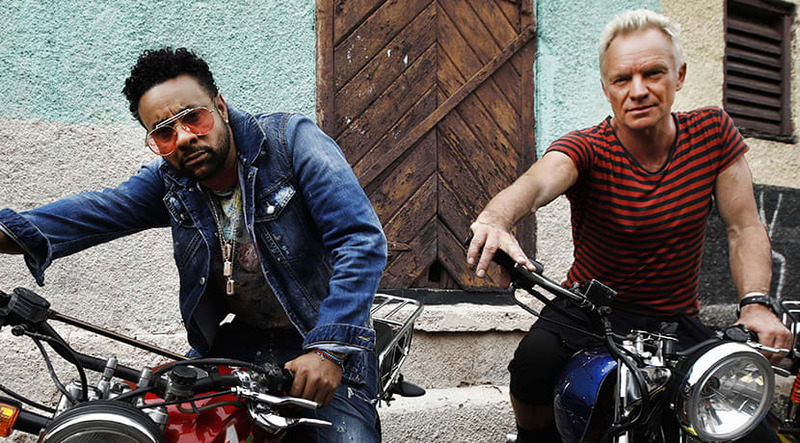 Sting & Shaggy will perform at O2 Academy Birmingham on Friday 24th May, and we have two tickets to the show to give away. Competition closes Friday 17th May. Which category did Sting & Shaggy's 44/876 album get a Grammy nomination for?